In-town convenience, comfortable, clean & well appointed vacation guest rental cabin. 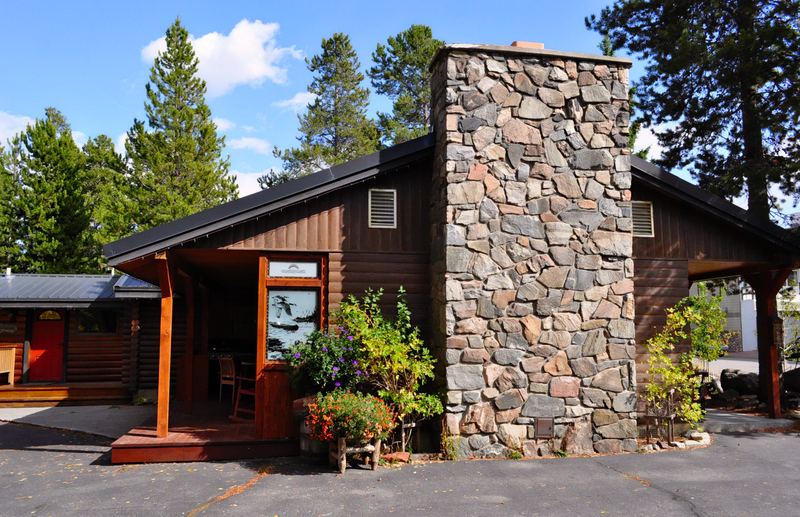 Located within the town of West Yellowstone, Montana, a stones throw from the west gate of Yellowstone National Park. Walk to the markets, restaurants & coffee shops. Open year 'round, explore the region from your Yellowstone Country basecamp! 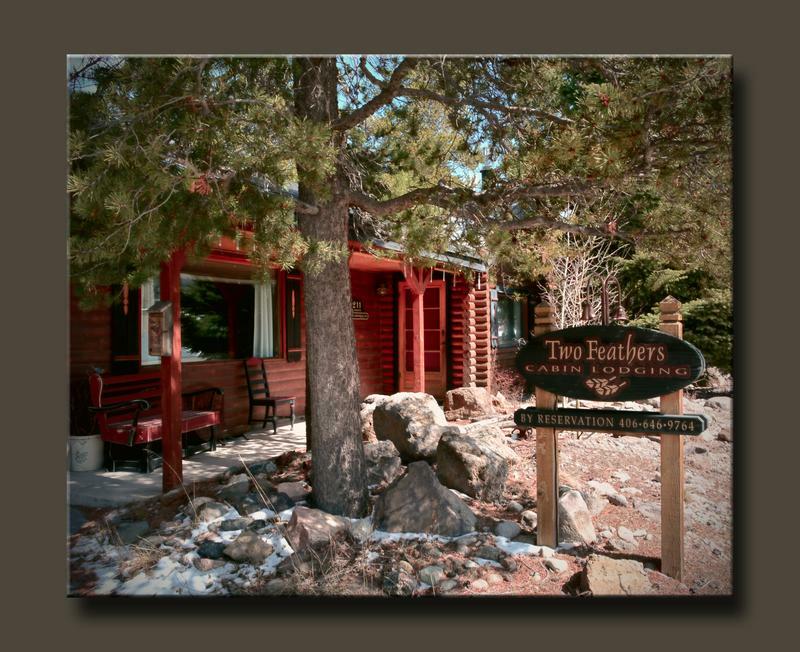 Open Year Around .. 1400 square feet of cabin living invites you in, enjoy the stylish Montana decor & cozy atmosphere . A stand alone guest cabin on a private, full city lot. Our guests rave about this unexpected oasis in the midst of the vibrant resort community of West Yellowstone, Montana, gateway to Yellowstone National Park. Click this image for EMAIL link, let's Chat ! 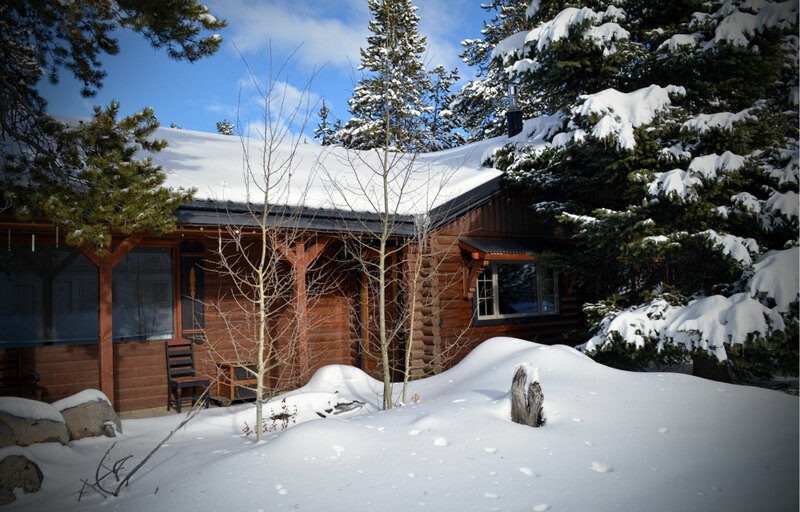 2 Bedroom Log Cabin - Sleeps 5 in this 1400 square foot home ... two private queen bedrooms & a queen sleeper sofa in the living room with wood-burning fireplace. Unique furnishings throughout & fully equipped with bed & bath linens, pots & pans, utensils, microwave oven, coffee maker with filters, ice chests for picnic lunches, toaster, blender, large fridge/freezer, a variety of spices and even paper towels. 2 Bathrooms - Washer & Dryer ... The first bathroom, with tub/shower combo, is located off the hall between the 2 queen bedrooms. The second bathroom, with a large 48” wide shower, is located next to the laundry area.